Kathy South is a registered teacher with the Lightarian Institute for Global Human Transformation and is authorized to facilitate the Lightarian AngelLinks™, Lightarian Rays™, Lightarian Ascension Bands™and Lightarian Reiki™ programs. The Lightarian attunements are passed from teacher to student via wonderful meditations. Students read and study a short manual before receiving the attunement in person or distantly (phone or Skype). Lightarian training is by appointment. Contact Kathy to schedule your appointment. The Lightarian™ AngelLinks Program is the feminine or yin energy modality that helps you with your personal relationship with yourself at a soul level. There are five AngelLink attunements, beginning with Seraph Rose Aura and then continuing in any order with Archangel Michael, Archangel Uriel, Archangel Raphael, and Archangel Gabriel. Each session takes between sixty and ninety minutes. Once you receive an AngelLink, you are able to pass the attunement onto others. 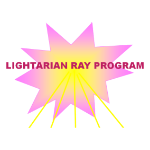 The Lightarian Ray™ Program is a series of powerful, guided-meditation attunements inspired by the Celestial Masters...Maitreya, El Morya, Buddha, Sananda and St. Germain...and by our Universal Source. The attunements accelerate your spiritual transformation. The first five Rays (Empowerment, Clearing, Healing, Activation and Manifestation) focus on the essential phases of spiritual processing. The sixth Ray (Source Ray) focuses on lifting you further into the unfolding global-human ascension process. As a client, you receive the basic attunement information. These attunements are open to anyone and can be received as either a client or teacher. As a teacher, you receive the full attunement manual and will be able to pass the attunement to others. The Lightarian Ascension Band™ Program is designed to accelerate healing, raise individual vibration and accelerate the process of Self expansion. The Lightarian Ascension Bands™ are sourced from a strata of celestial energies known as the level of Ascended Masters − specifically from an aspect of the Ascended Master Buddha. The Six Bands divinely permeate our lives and this profoundly translates into deeper connections in all realms. This program profoundly impacts the individual as they expand with Ascended Master Buddha. 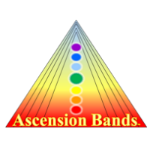 Each Ascension Band attunement progressively takes the individual to increasingly higher personal vibrational levels. The Lightarian Reiki™ Program offers you the most powerful, highest vibrational Reiki healing energies available. It uniquely prepares you to deliver a broader spectrum of healing energies by extending the vibrational range of Reiki beyond Usui-based and Karuna® Reiki modalities. Lightarian Reiki was inspired by Ascended Master Buddha and has been brought forth to accelerate the healing process for humanity -- focusing on expanding your abilities as a Reiki Teacher/Practitioner to channel healing energies of a higher vibrational nature for the benefit of others. You may take a Lightarian Reiki ™ training after doing any Master class. If you are not a Karuna Reiki Master, you need to receive a "Buddhic Boost" attunement before beginning your training to get you to the Karuna Reiki level energetically. 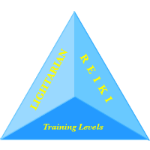 Lightarian Reiki is taught in four classes: Levels I-II; Level III; Level IV, and Levels V-VI. Each class is taught in one hour hour segments that include an attunement, a manual, and a question and answer period. Once attuned, you practice giving the attunement and use the energy in a short healing. According to Ascended Master Buddha, there are 8 bands of Reiki. The 1st band consists of all Usui-based Reiki. The 2nd band consists of Karuna Reiki. The 3rd - 8th bands of Reiki are Lightarian Reiki. 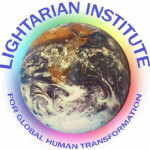 The logo and name are registered trademarks of Lightarian Institute for Global Human Transformation. Pre-requisite: You must be an Usui-based or Karuna Reiki Master.